With our visitor Zac we went up to the Sky Tower. 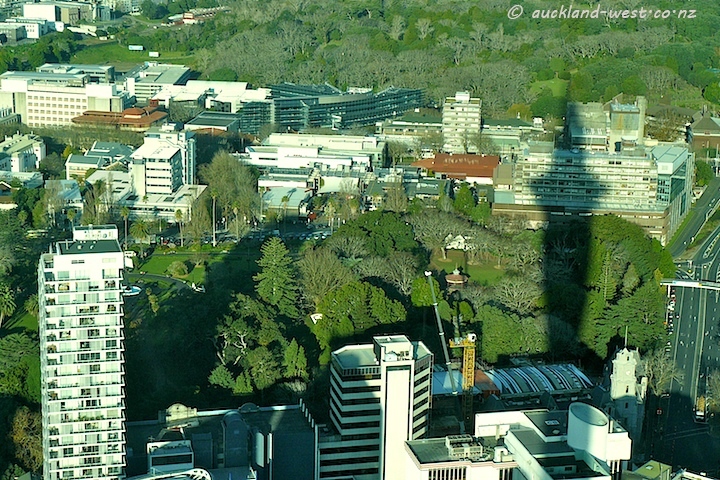 This view shows the shadow of the top of the tower crossing Auckland University’s Science Centre. The buildings in the centre band of the picture are all part of the University, with the lush green Albert Park in front, and the Auckland Domain in the background. Visit the official website of the Sky Tower.